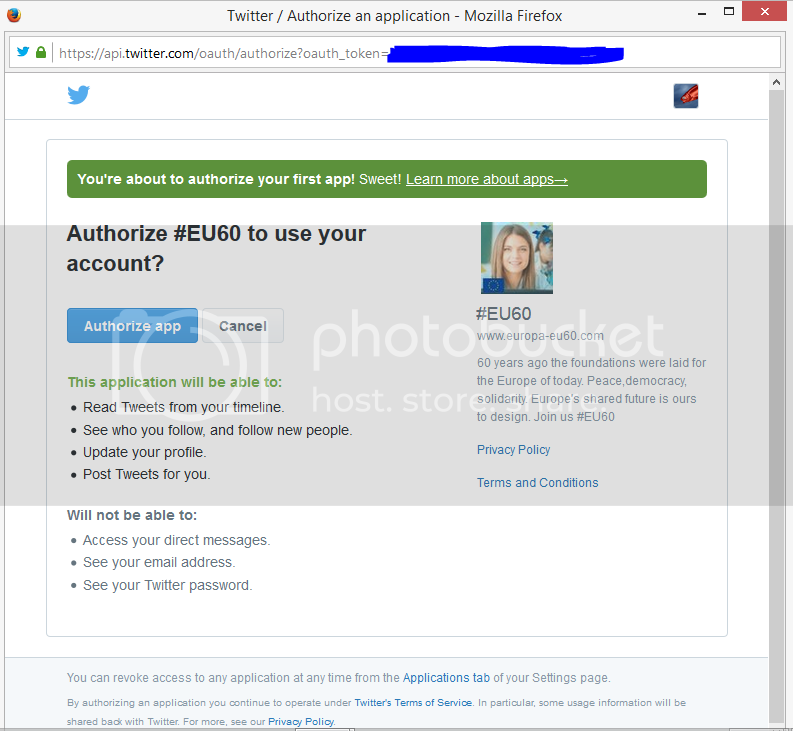 Should I authorize the EU to use my twitter account? Authorize #EU60 to use your account? Oh yes, let unelected bureaucrats take over my twitter account? The EU wants to take over your account? Yes, don't worry it's just an app where they can tweet from your account. (03-24-2017, 08:41 PM)JayRodney Wrote: Oh yes, let unelected bureaucrats take over my twitter account? Afraid of Italy and France leaving soon I see. (03-24-2017, 09:00 PM)RGG Wrote: Afraid of Italy and France leaving soon I see. Who knows, it just seems strange to me. Things are getting pretty freaky. (03-24-2017, 08:38 PM)Octo Wrote: Authorize #EU60 to use your account? Holy crap we're all fucked when govt's want to take over your social media accounts. The bottom line is choose what you do wisely. We don't use twitter much but when we do, it's over something ridiculous, and this certainly qualifies.